This, the 153rd consecutive showing of the Scottish Highland Gathering and Games, will be a momentous occassion. You’ll likely not want to miss everything that’s in store, so we’ve collected all the information you’ll need to enjoy this celebration the right way. Read on, as we talk about the schedule of events for the games, along with some frequently asked questions that will shed some light on what everything is about. What Is the Scottish Highland Gathering & Games? Which brings us to the Caledonian Club’s take on such events. Now an annual celebration of Scottish culture, competition, and entertainment, this event started some 153 years ago, when the inaugural games were held on Thanksgiving Day in 1866. San Francisco had more than its fair share of Scots at that time, as the California gold rush had drawn travelers in from far and wide. While that first event could better be compared to a “family picnic,” according to the official history, it did include some competitive events, including hammer throwing, stone putting, a three legged race, and a blindfolded weelbarrow race. From then on, the Scottish Highland Gathering & Games became a yearly event, drawing in ever-growing crowds throughout the years. On Labor Day Weekend 2015, the games “attracted record crowds close to 50,000,” making it the “largest Scottish gathering ever in the USA.” This year, will be the 25th anniversary of the games moving to Pleasanton at the Alameda County Fairgrounds, and the 2-day event will be one to remember. What’s Going Down at This Year’s Games? There are, of course, other competitions, such as the “Putting of the Stone,” which is similar to Olympic Shot Put, the “Weight for Distance” event, in which competitors must fling weighted metal chains over great distances, and the “Weight for Height” event, wherein said competitors must throw heavy objects over a bar with one hand. The Scottish Hammer might be one of the most recognizable of the strength contests, and involves a weighty hammer that competitors must catapult as far away from their bodies as possible. Naturally, there are intricacies to these contests that you might want to explore, so we recommend checking out the official website’s heavy athletics page to learn more about each of these amazing feats of strength. These steps will ask their competitors to combine great deals of timing and technique to perform them well, and they’ll need to inject some personal flair to take home the big prize. And all that is just the tip of the iceberg. 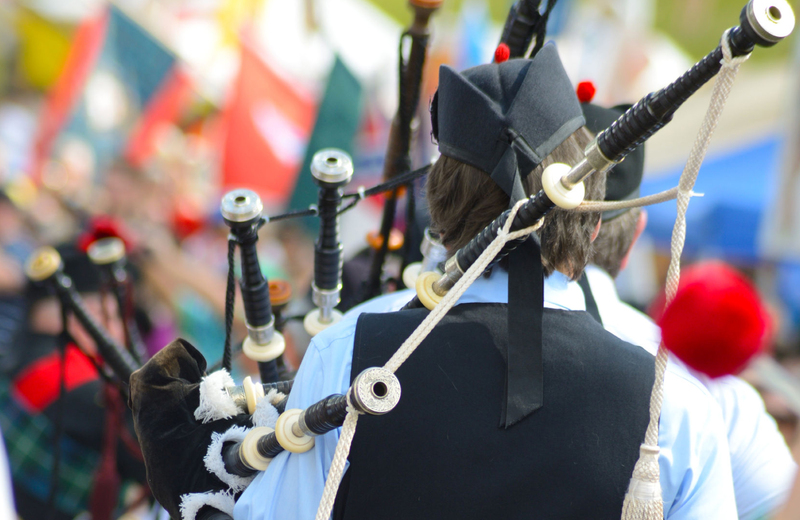 There’s plenty more that will be happening at the 153rd Scottish Highland Gathering & Games, so be sure to check out everything you can from their website and stay well-informed about this thrilling cultural display leading up to the big day. Who Knew Scottish Pride Ran Deep Around the Apartments in San Francisco? If you’re new to the area, that might come as a bit of a shock. What won’t be shocking, though, is how amazing apartments like Vintage epitomize the best of the Bay Area lifestyle. Luxury like this may not be standard everywhere, but it’s something you’ll come to enjoy when you make this part of the East Bay your home. From Pleasanton’s historic downtown to all around, you’ll have access to the very best, and you’ll be proud to call fine communities like Vintage home.